S&S International Express is a famous express bus company in Malaysia with the HQ at Kluang Johor. The company is operating in almost all the cities in the west coast of Peninsular Malaysia, with especially good bus service coverage in Johor cities. 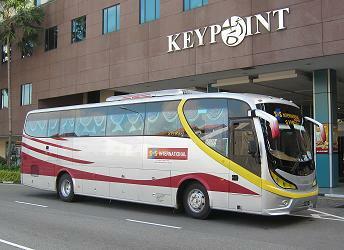 Few of their popular bus services are Johor Bahru to Kuala Lumpur, Kuala Lumpur to Kluang and Johor Bahru to Mersing.